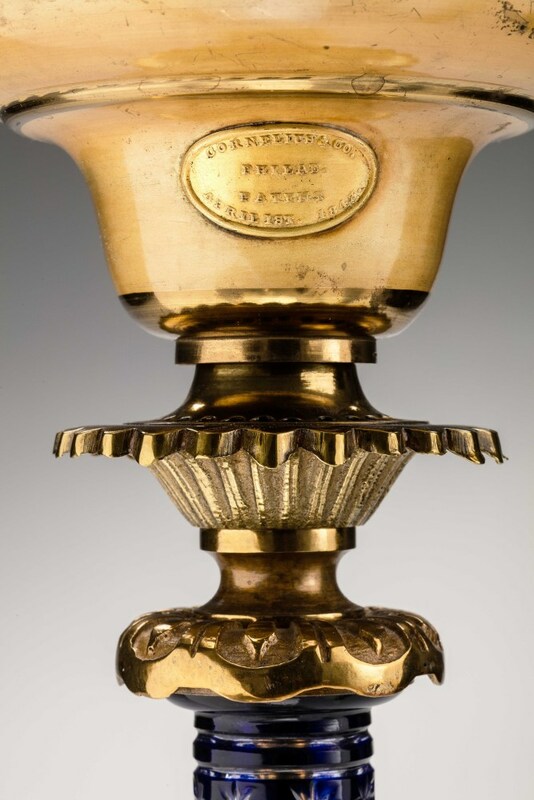 The spherical etched and cut glass shade above a spun brass oil font bearing the label of Cornelius and Company, on a molded brass fitting on a star and punty pattern cut-glass tapering standard, blue cased cut to clear, on a square white marble plinth with molded brass decoration. Label: Cornelius & Co./ PHILAD/ Patent/ April 18T. 1843. 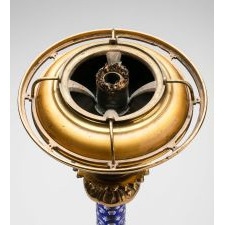 Condition: Excellent; retaining pristine factory-original matte and burnished brass lacquered patination, perfect cut-glass standard, never electrified, and retaining full burner mechanism and wick. 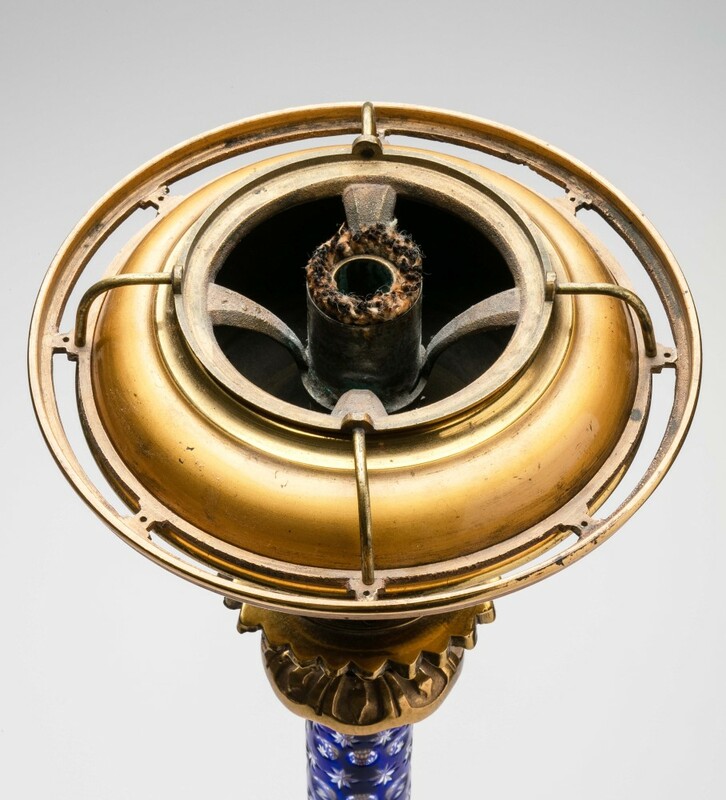 Cornelius was established in Philadelphia in 1831 and, advancing through a series of incarnations, lasted though the end of the 19th century, eventually becoming the largest lighting manufacturer in North America. 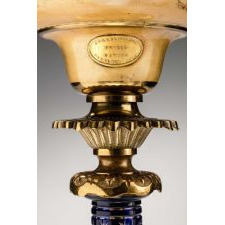 By 1849, they had entered into a relationship with Dietz & Company, a New York brass lighting manufacturer. This is relevant because the shade on this lamp is one that appears on a solar lamp in a Dietz & Co., catalogue in 1860. From 1851 to 1861, the firm was called Cornelius & Baker. 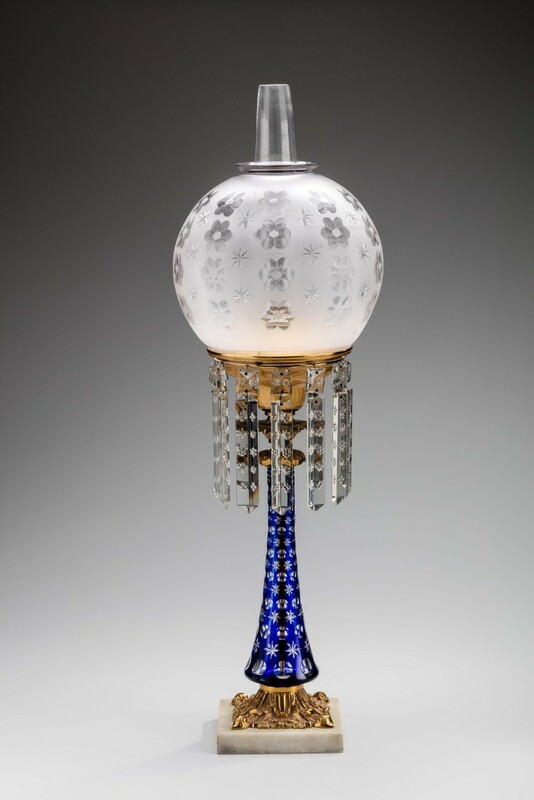 According to Jane Shadel Spillman in her article "American Glass in the Bohemian Style" the earliest cased glass made in the United States began about 1846 and the New England Glass Company showed case glass at the Great Exhibition of 1851 in London. 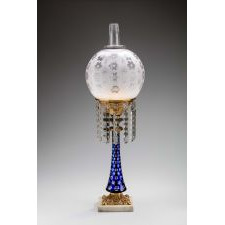 The Boston and Sandwich Glass Company also made cased glass in the 1850's and '60's and specialized in lamps and cologne bottles. They showed "coated and colorless glass" at the Franklin Institute's annual exhibition in Philadelphia in 1846. 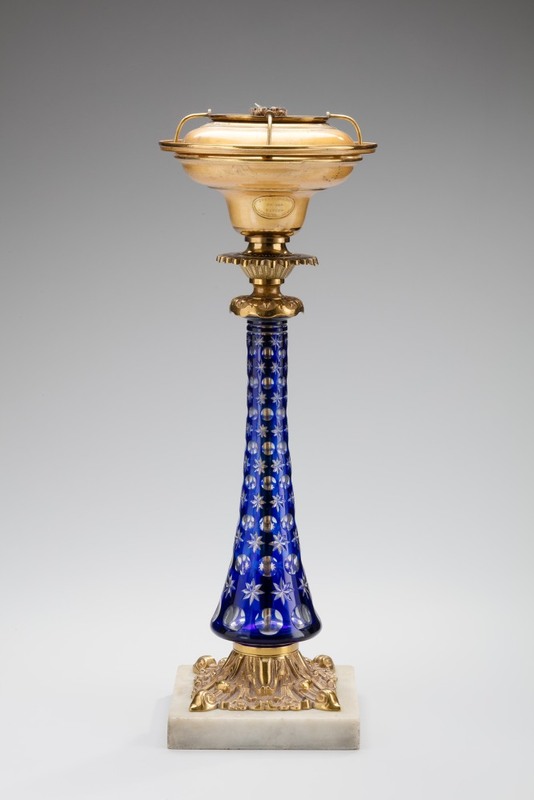 Additional information about Cornelius can be found in: R. Curt Chinnici, "The Manufacture of Argand Lamps in Philadelphia," The Magazine Antiques (February 2002), 62-67 and Donald L. Fennimore, "Cornelius & Baker" Antiques & Fine Arts Magazine (Winter, 2016), 107-114. 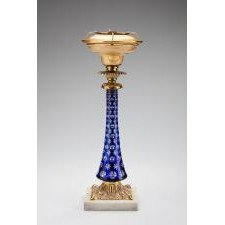 Gerald T. Gowitt 19th Century Elegant Lighting (Atglen, Pa., Schiffer Publishing Ltd., 2002), 158. Jane Shadel Spillman, "American Glass in the Bohemian Style" The Magazine Antiques (January 1996), 145-155.